Wow, A mixed fruit cream cake, nearly as impressive as a baked one. Place the fresh mangos onto one cake and top with heavy cream. We love soft and fluffy cake and topping with all the fresh fruits. I just made these and want to surprises and celebration memorable for my husband. Just give him a big surprise and happy birthday! 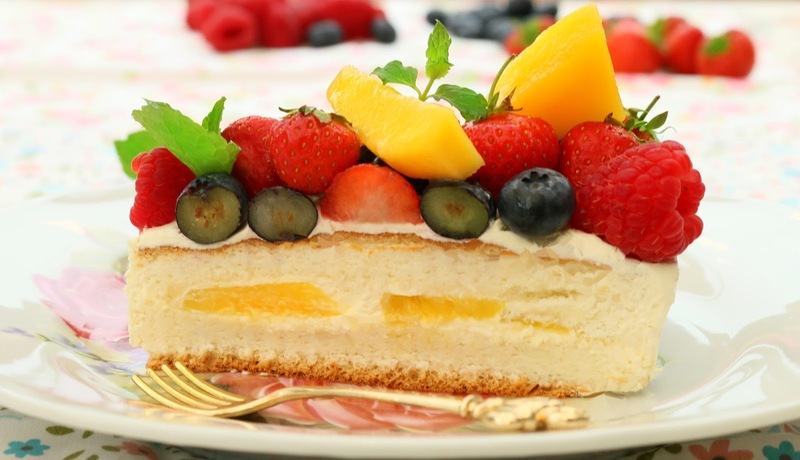 (choose your favourite fresh fruits, or top with whipped cream and mango slices as you desired). 1) In a bowl, mix (A) egg yolks, sugar, corn oil, vanilla extract, milk and milk powder. Sift in the cake flour and whisk until smooth. 2) In a separate bowl, whisk (B) egg whites and add cream of tartar and sugar a bit at a time until to a thick, foamy and soft peaks start to form. 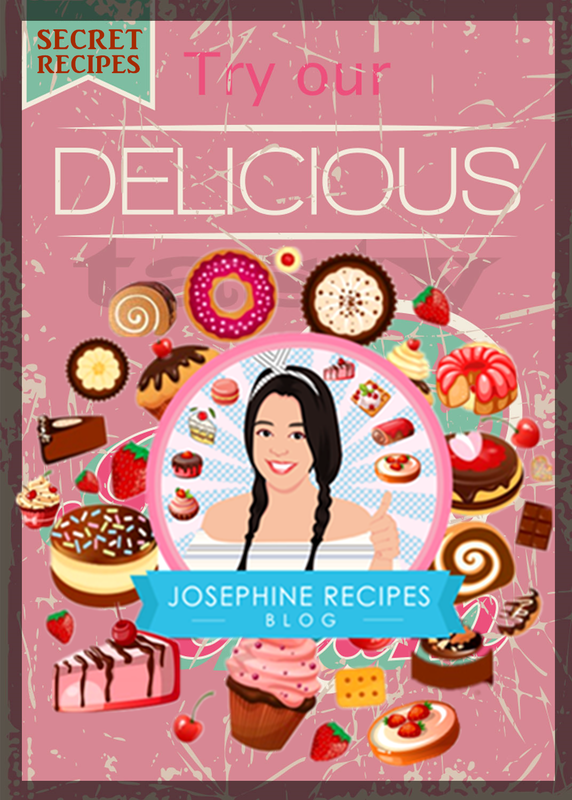 4) Pour the mixture into the 32cm x 27cm prepared tin with baking parchment and use a spatula to smooth it evenly into the corners. 5) Use a large baking pan for a hot water bath and Preheat the oven to 160°C and Bake for 35 minutes. 7) In the meantime, whip the (C) double cream until it is just thick enough to hold its shape and add vanilla extract for a little extra flavor. Refrigerate it, before using if needed. 8) Once the cake is cool, remove the lining. Cut the cake in half. 9) Use a sharp knife to peel the mango and slice. 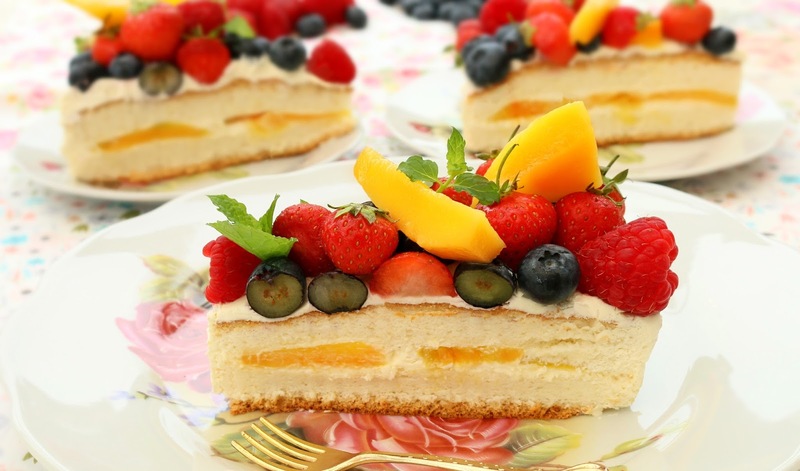 Arrange mango slices in a single layer over cream and place second cake layer. Refrigerate until ready to use. 10) Take the cake out from the refrigerator and cut side down, pressing gently to secure it. Spread with a palette Knife over the sides of the cake, and around the top of the cake. Refrigerate the cake, as well as the cream until firm, at least 10 minutes. 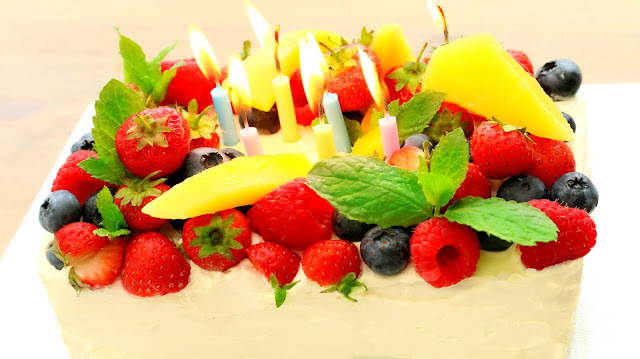 Spread remaining whipped cream on cake top and decorate with fresh fruits. Return cake to the refrigerator until cream on cake is set, about 15 minutes. 11) Transfer the cake to a plate for serving. Any leftover cake can be covered and kept in the fridge for 2 days. 5) Cutting off the crusty edge from the sides. 11) You must refrigerate a cream cake while you spreads a layer of cream, and it doesn't melt or weep as quickly.